LOS ANGELES – A dozen workers in the Antelope Valley will receive $23,705 in back pay and penalties based on a minimum wage enforcement action announced Tuesday. 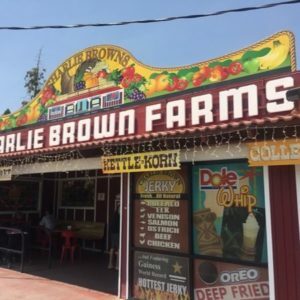 The Los Angeles County Department of Consumer and Business Affairs settled with Charlie Brown Farms, a business in unincorporated Littlerock that failed to pay the correct minimum wage to the workers. “The business owners reached a settlement agreement… and are working in coordination with investigators to pay all back wages due and penalties owed to the 12 employees,” according to a news release by the Department of Consumer and Business Affairs. The current minimum wage in unincorporated areas of Los Angeles County, including Littlerock, Quartz Hill, and Lake Los Angeles, is $13.25 per hour for businesses with 26 or more employees and $12 an hour for businesses with 25 or fewer workers. Employees who believe they are not being paid the correct minimum wage and employers with questions about compliance can contact the department at 800-593-8222 or visit www.dcba.lacounty.gov/minimum-wage. Since July 2016, the DCBA has helped more than 1,250 employees recover more than $186,000 in unpaid wages. 13 comments for "Wage enforcement action wins back pay for AV workers"
I’m glad that the employees received their rightful wages and compensation from CBF. Again with the political adjenda, I thought the article was about lost wages and back pay. It can’t be about politics all the time. Time to move on just saying…. Shame on you Charlie Brown Farms, I shop there often, but not more after this. This is on the back of the Littlerock Town Council for supporting this buisness bully no mater what they do in Littlerock. Shame on them!! There goes another AV landmark at the hands of liberal Democratic Party. You Republicans need to stop thinking you’re above the law and that you don’t need to follow the rules. LOL…because paying people for their work is a liberal idea…conservatives long for the good old days of slavery. Huh, a business owner does not pay the correct minimum wage and suddenly it is a partisan debate with racism and slavery thrown in for good measure. Way to go. Right out of the playbook. And read a little history. The democrats were the party of slavery, racist Jim Crow laws and the Ku Klux Klan. History did not end back then. Now, it’s reversed. It’s the republicans who suppress votes, especially for minorites, and the “go to” party for the Klan. And, that’s just for starters.